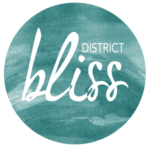 Meet the District Bliss team! Meet Sara! She’s a go-getter with a background in Art Education. After founding Photos from the Harty, Sara realized something was missing. Hoping to create a community of supportive and like-minded creatives and entrepreneurs, she launched District Bliss. Sara has – and continues to be – amazed at how many wonderful, talented people have joined the DB chapters across the USA! Our Bliss Ambassadors represent District Bliss across the country! Cultivating a supportive community of creatives, small business owners, entrepreneurs is the name of our game! The District Bliss team hosts light-hearted networking Vendor Socials, business-building workshops, and DIY events! We are looking to expand to other areas across the US. If you are interested in joining the team, you can apply here. If you’d like to participate in one of our events, swing on over to here. someone has the nerve to buy me a Valentine’s Day chachki! – I’ve never seen an Abraham Lincoln present! – I rock climb not necessarily because I like it but because I just love feeling tall! – I almost married a mechanic then he blew his seal then we broke down. Now I’m seeking a Ghostbuster!!!!! – I have several nicknames none of which I gave myself and all are pretty spot on! – If I ask for a coffee, hand me a scotch; if I say I need a drink, find me some water! – If I ever reply “I’m doing alright,” I could use a good laugh! – I plan on moving to a new country every 7 years for the rest of my life! – Did you know humans have three types of tears and they all look different under a microscope? I’m all misty-eyed just thinking about it! – I’m building a new business, The Makeup Makers Lab, and loving it! – I worked at Arby’s from age 14-16 years old – I haven’t clocked in since nor have I eaten ANY roast beef! – My favorite waves are Theta & Delta Waves! Complete brain-busters! – Long-distances sports can’t hold a candle to motorsports! I like cruising fast! – I have 7 pairs of vintage eyeglasses, 1 pair of wine glasses, and not one pair of matching socks! – I’m from Frederick, MD, so I’m pretty much a local! – I really hate onions. WHY does it have to be in everything? – I cook dinner every night but Thursdays, when we go out. Fridays are always pizza night (homemade)! – I love owning my business, Mabely.Q, becauseI get to do fun, creative things all the time. Plus, I’m able to manage my schedule so that I can spend time with my friends and family, too! – I regularly change up my hair…. long, short, dark, blonde, pink…more recently – a side shave! – I’m deaf, but most people don’t realize it cuz I speak so well! Also I love music, rock music in particular! If you’re interested in starting a community in your district – anywhere in the world – reach out! Submit your application here. If you’d like to participate in one of our events, swing by this page!